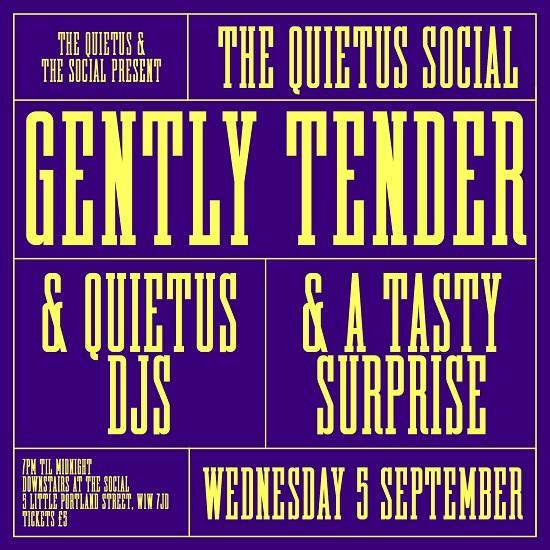 The next Quietus Social is scheduled for September 5, and will star London newcomers Gently Tender. Taking place at one of our favourite venues, The Social in central London, the band will play live along with sets from The Quietus DJs and a tasty surprise. Gently Tender, named for the Invisible String Band track of the same title, were formed by Sam Fryer, Pete Mayhew and Will Doyle from the ashes of their old band Palma Violets, along with The Big Moon’s Celia Archer on keyboard and guitarist Adam Brown. Tickets are just a fiver, and available here.